Christmas is the most magical time of the year. It is when families come together to celebrate the season of cheer and joy. However, along with the festivities come several expenses. From the gifts to the decorations, the food, and the invites, you are already stretching your budget during the holidays. What is bothersome is that amidst all this spending, rushing, and trying to keep up with those around us, the real essence of Christmas is lost. We forget that although, it is great to celebrate occasions in a grand way, it is also important to teach children that enjoyment does not necessarily come from spending a huge chunk of money. In fact, happiness comes from creating experiences and being able to enjoy them together with your family and loved ones. Therefore, this Christmas let us focus on creating special experiences for our little ones. 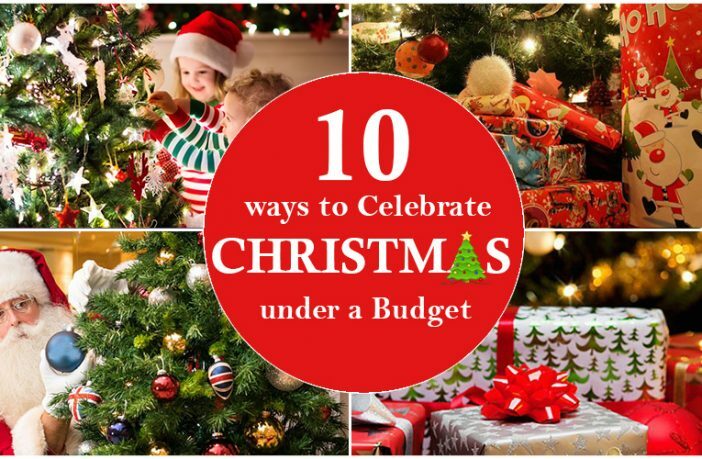 This list is divided into two categories – the party ideas and the budget-friendly gifting ideas. These might not be over-the-top, elaborate ideas, but are things you can do together with those you love. These ideas will leave you with great memories that last together. For food, go in for a potluck. Let everyone bring in one surprise dish and create a spread full of variety. Alternatively, you can pre-plan, decide upon a cuisine, and assign dishes. Keep one cocktail and one mocktail for drinks. Avoid too many choices to reduce chaos. Hot chocolate is one drink that everyone loves to have. It is best to make your drinks and store them in large beverage dispensers. Keep paper cups close by, for ease of use. Since it is a game night, have a variety of games at hand. Pick a childhood game that all of you can relate to. It will be great to bring back memories and you will have loads of stories to narrate to the kids. Board games such as Pictionary or Wits and Wagers are excellent choices for large groups. Even kids can play these games. If you do not have them, learn the rules online and make your own pictures and questions. Paper cup and straw games are fun for family game nights. They only require a few household items that are inexpensive and easily available. You can have an array of them for different age groups depending upon the level of difficulty. Some fun options are – arranging the paper cups in 1 minute, collecting paper cups from a paper cup pyramid, or blowing the maximum paper cups with a straw in 1 minute. Cookie balancing games and fortune cookie twists are other options to try. Card games like Wiggle and Giggle (3 years – adults), UNO (7 years – adults), Pictureka (6 years – adults), and Alphabet Soup (8 years – adults) are some fun card games that are sure to involve the whole family. To make it more fun, pair up kids with adults and make teams. That way everyone gets to participate and get involved in the game. All-time favorite games – Games like dumb charades, blindfold, and musical chairs are always fun. This Christmas instead of buying decorations off the shelf, make it a family activity. Kids love it when they get to do creative activities with mom and dad. Making your own decorations for your home and the tree can be extremely budget friendly as well. Of course, it is a great way to spend some quality time with the family. Toy ornaments – For tree ornaments, simply pick some small table tennis balls, deer, or doll figurines, and stars. Drive a hole through the balls and figurines so that you can insert a thread/ribbon through them for ease of hanging. Now dip them in glue and roll them in the multicolored glitter of your choice. Hang them from the tree when done. Pinecone décor – If you have ever collected pinecones on a vacation, now is the time to use them. Paint the pinecones in golden and silver hues. Let them dry. Now stick them in a circle on an old CD. Arrange some leaves (pine leaves if you can get them) or flowers around them to make a delightful table décor. You can also use them to make wreaths and tree ornaments. Glittering candle votives – All you need for this fun décor are some empty glass jam or honey jars, a roll of Washi tape, glue, and some golden and silver glitters. Clean your jars out. Now stick the tape around the jars making alternating bands of empty space and tape. Paint the empty space with glue and dust it with glitter. Let the jar dry. Once done, peel off the tape and aha! You have your own candle votives ready to decorate. Place tea-lights inside the painted jars and watch the magic unfold. These make for great party favors as well. DIY Christmas cards – Children love to make cards on special occasions. You can ask them to make handmade holiday cards, Christmas party invites and even thank you cards for later. Buy them a card making kit and announce that all the greetings should be handmade. The fun will ensue. The book worms – If you are a family of book lovers, for example, you can make it a rule that everyone gets books as gifts this Christmas. You can create your Christmas décor around the same theme. If your child is a Harry Potter fan, you can turn your living room into a world of wizardry. You can make wands with twigs and sticks, make paper feathers, and stick them on to keys to make flying keys, even use broomsticks as part of the decoration. Best from waste – You can even think of a best from waste theme and get everyone to make presents and decorations at home with things that are lying around. You can ask your little ones to make buntings by cutting triangular shapes from cloth scraps. Paste them on a string and you have a vibrant bunting to decorate. Used milk bottles can double as planters. Put some water in a glass bottle and insert a money plant in it. This will make a delightful Christmas present or party favor. The Music lovers – If your family members or friends love to listen to music, some play instruments and others sing; you can have a wonderful musical night for Christmas. Let the kids put up a show and the elders can pitch in. 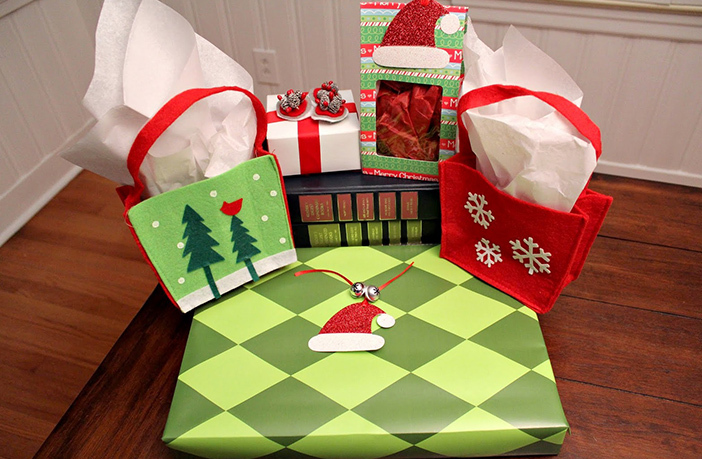 Related accessories can make great gifting options for this theme. A set of guitar picks with case, a keyboard stand, a Doodle music dairy, or a collection of notes for your little one’s favorite songs are wonderful choices to consider. Amusement parks are a great place to plan family get-togethers in. 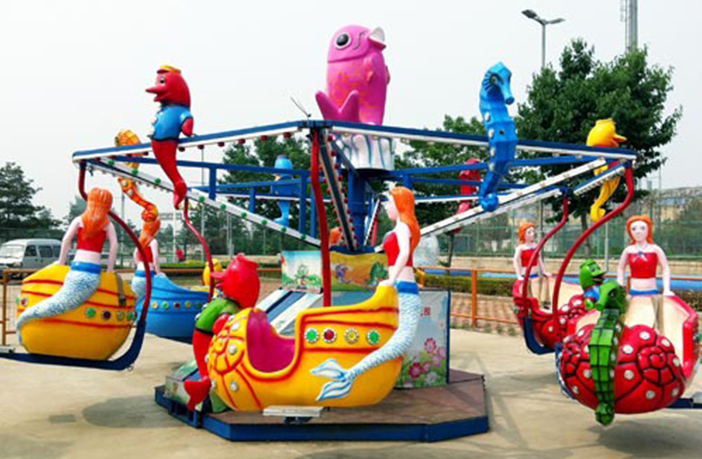 There is something for just about everyone in the family in an amusement park. You can enjoy the rides, the food stalls and shop for souvenirs as well for the whole family. If you are going with extended family, everyone can buy own tickets and plan to meet at a common point and start together. To make the trip even more budget-friendly, you can look for offers and coupons that will be available for the whole family. You can also get food and beverage coupons to avail discounts in restaurants and food stalls inside the amusement park. If you have toddlers and infants with you, carry their strollers along. Make sure your baby bag has a pair of change for the kiddos. If you are a large group, you can even carry some mats and home made eatables in a picnic basket to sit and enjoy when you all are tired. Most of these parks also have special attractions for the holiday season. This could include fireworks displays, parades, and theatre plays. Make sure you are aware of any special Christmas shows so that you can enjoy them with the whole family to make the event memorable. Christmas can be pranks day this time and the whole family can get involved in. You can all play fun pranks on each other all day and decide who played the best ones. The winner receives a secret gift at the end of the day. Jumping out of closets, crank calls, fake bugs, and more can be on the top of your list. The only rule that you should lay down is that the practical jokes must not harm or hurt anyone. There are also prank kits available that will give you great ideas to prank your family this Christmas. One such great product is Wonderfool Mischief Kit. For just Rs.400, you get a great kit with over 50 tricks and about 15 gags that are hilarious and extremely fun. Invite your child’s friends over for a kiddie Christmas party. You can have craft stations or baking stations that follow a Christmas theme. How about having one of the dads dress up as Santa and give away a few gifts to the children. This is a surprise that every kid will certainly love. The invites can be handmade by your kids and the kids can bring one gift each, which they can exchange over a game of Secret Santa. Another fun way to hand out gifts is by organizing a Scavenger Hunt. Hide the gifts all over the house, balcony, or backyard. Then leave the clues scattered around as well. Hand out the first clue and let the kids look for the first gift. Every gift will have a clue for the next one pasted on it. Every child who gets the gift will move out of the game ensuring that each little one gets a gift by the end of the game. You can also play games like Left, Right, Left. The game is very simple. You will need each child to bring a gift to give away. Opt for a unisex toy or a book for this game. All children must hold their gifts in their hands. As you read out a story, the passing and shuffling of the gifts begins. When the words ‘left’ or ‘right’ appear in the story, the gifts are passed on in that direction. This way the gifts are shuffled among the kids. Whosoever is holding whichever gift by the end of the story, gets to keep that gift as their Christmas present. Hobbies are lifelong interests that inculcate a sense of patience and creativity in children. It is important to help your child develop a hobby for it brings with it a sense of purpose and enthusiasm about an activity. What would be a more appropriate Christmas gift for a little one, than being introduced to a new hobby which he or she can pursue the life long. It could be painting, reading books, collecting some items, or learning a new craft. Hobbies keep the kiddos driven for more. You can start with simple hobbies such as coin or stamp collection. It is possible to create a hobby-starter kit at home for your child. For instance, if you want your child to develop an interest in the stamp collection, put together a couple of stamps that you can collect from friends and family. Gift this to your child along with a scrapbook that he or she can stick them on, to keep a tab on the collection. Painting kits are great for children of all ages. You can even get interesting kits such as the Playmate Paint Your Own Ceramic Tea Set for less than Rs.300. These kits are great to spark creativity. Kids between 2-3 years of age love origami kits. They are perfect for the holiday season. 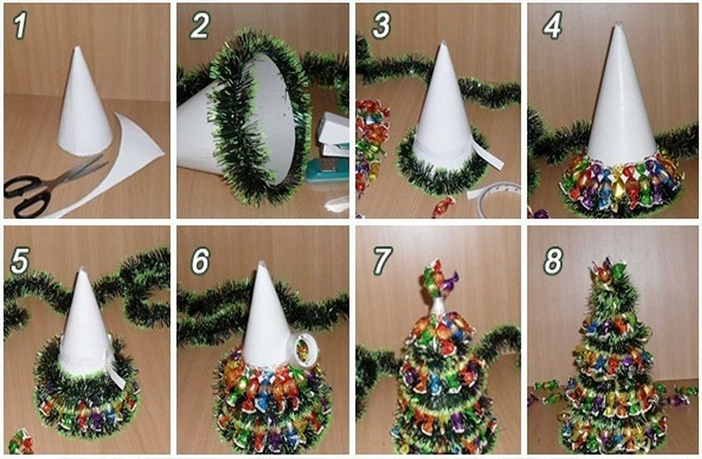 You can even encourage your child to make the decorations for the festive season with this kit. For just Rs.79, you can get your child the simple and colorful Ratnas Awals Origami Craft Set. Pressed flower Kits is an all-time favorite with little children. It is a more organized version of pressing flowers and teaches kids creative ways to use pressed flowers on cards, candles, and invites. Other wonderful options to try are – Gardening sets, Jewelry making kits, Worli Art set, Quilling, Finger painting, Canvas art, and Glass Painting Kit. Comic Book Subscriptions – Opt for magazines such as Highlights Genies (Monthly magazine – 2-6 years), Highlights Campus (Monthly Magazine – 6-12 years), Magic pot (weekly magazine, Age – 3-6 years), and Tinkle (Monthly Magazine, 5+) are some great picks. Music, Dance, or Sports Club membership – You can enroll your child for a bi-weekly class in vocal or instrumental music, Kathak, Bhangra, or any sport like football, Lawn Tennis or cricket that she has always been asking for. You can either book a three-month or holiday-only pack. Then continue based on how your little one’s interest shapes. Activity Box Subscriptions – This is another fun membership that you can gift to your child. These activity boxes contain crafts, science experiments, magic tricks, and educational games. They are usually shipped to your child every three months. Flintobox offers great kits for children between the ages of 2-12 years. You can even opt for kits by Magic Crate that are available for children as young as 1 ½ years old. These kits cover various subjects like Maths, Science, Art, and Language to help your child learn better and faster. There is a long-standing Christmas tradition that requires every member of the family to stir the Christmas pudding with a wooden spoon. If your family seems up for it, then why limit it to the pudding? Get your children involved in cooking up a grand meal for Christmas. They can perform simple chores like peeling the vegetables, keeping the ingredients ready for you to use, or just add the garnish to each dish that is fully ready. Children love the idea that they contributed to the Christmas meal, which is probably the most important meal of the year for most families. You can also look up simple recipes like fruits dipped in chocolate or fudge rolls that need no cooking or baking. Allow your little ones to prepare these entirely on their own or maybe, you can help with giving the ingredients. Make them in charge of one dish on the table if you must. It is a great bonding activity and a learning experience for your child, too! You can also involve your kids in baking cakes which can later be gifted to visiting friends and relatives. Make muffin hampers and give away as party favors. Kiddos can also create their own chocolates and give to their friends and cousins for that special home-made touch. Sharing is an important value that parents try to inculcate in their kids from an early age. It lays the foundation to a philanthropic intent later in life. Experience the joy of sharing this Christmas with your little ones by going charitable. You can talk to your child about gifting to the needy and less privileged this Christmas instead splurging on your own gifts. The idea is to save on your own Christmas gifts and decorations and instead, use that money to help someone who is really in need. You can buy toys for orphanages or donate blankets and clothes to an old age home. You can even get your child to donate a cheque online to a children’s trust, an education initiative, or a fund for cyclone victims. The amount may be small individually, but if you decide to do this as a family, you can surely put together a significant sum. This is a wonderful way to introduce great values to your children and teach them the joy of giving and sharing in the true Christmas spirit. Save The Children and Donate To UNICEF are two such online portals that accept contributions big and small. Every penny counts. Kids need our time and involvement more than our money. If we are able to do it successfully, we may impart important life lessons and memories, which they will cherish throughout their lives. Hope you will try some of these ideas this holiday season and enjoy the true essence of Christmas.